Budgets vs Forecasts vs Cashflow - What's in a Name? Accountancy likes to call many things by the same name. Different people call the same thing different names and different industry verticals borrow terms willy-nilly (don’t get me started on the use of the term ‘vesting’…) This can be consuming for business owners and advisors alike as asking for the wrong thing can result in an ‘expectation gap’ between what one party wants and what the other delivers. Very often I have clients ask me for ‘a cashflow’ or a ‘forecast’ or have founders with a twitch in their eye, ask me if I can make their forecast ‘3 way’ (having clearly been pressed to do so by that potential VC who’s had a look under the hood). The terms ‘Cashflow’, ‘Cashflow forecast’, ‘Budget’, ‘Projected Financials’, ‘Three-way forecast’ are often jumbled up in the minds of business owners but also far too often in the minds of investors, business mentors, banks and even financial advisors. Each term does in some ways relate to the result of the same activity (looking to the future and predicting something) but each should be used for different business purposes and you should be clear what you would like before entering into what can be a costly exercise. And this is FINE. I’m not here to tell everyone that they need to be financial modelling masters. Having at least some sort of financial future map is better than operating blind (or keeping it in your head like a game of mathematical Jenga). BUT, what should be made clear is what I think you SHOULD have and why. Below I’ll outline what I believe to be the key differences between “Cashflow projections”/”Cashflows”, “Forecasts” and “Budgets”. I’ll then tell you why you need to be projecting 3 ways if you want real financial control and visibility. Regardless of the type of future projection you are preparing you need to first understand the difference between a “Budget” and a “Forecast” and how they should be used in a business. A budget is a financial target and you should measure actual performance against the budgeted target. 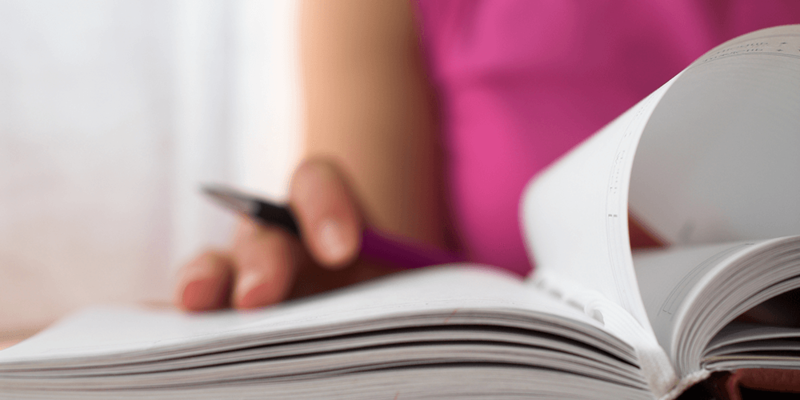 The budget can (and should!) be three ways. You can have a P&L Budget, a Balance Sheet Budget and a Cash Budget. Your budget will cover both revenue and costs and should be the yard stick by which you measure your performance first and foremost. Budgets should be set at regular intervals. Often a budget is set for a year and this is the minimum I would advise budgeting for. Beyond this, the budget may be amended at smaller time periods throughout the period. Typically, at quarterly or half yearly intervals. I DO NOT advise updating the budget any more than quarterly as this means that the budget is becoming too reactive and is turning from a budget to a forecast. The forecast is your financial route setter and should be updated as often as possible. Your forecast is full of new information not present when you last budgeted. It is very likely (and advised) that your budget will take the same format and look almost identical to your budget. The forecast is not intended to be reported against as rigidly and should contain what is very likely to be the future results, as opposed to the budget which should contain future targets. These should be based in reality and be achievable, but should also stretch you and your business. Your sales budget should stretch your sales team and your costs budget should ensure you remain frugal. Your sales forecast should be an accurate representation of what sales you will achieve and your costs forecast should show the costs your will incur. Each of these have a very important part to play in the business. The budget gives an anchor against which to benchmark and target. The forecast ensures that we are not blinded by overly ambitious targets and grounds us in reality. Again, each of these items should be present in the business, should be used for different purposes and should take the same format (to aid comparability). Look, we would be here all day if we got into the ins and outs of what you can forecast for. However, at a high level, you should look at the following three financial indicators and forecast and budget all of them. However, these three things should NOT be independent of each other. Each financial transaction impacts all three of these statements (with a few exceptions) and so your forecast/budget should be built in an interconnected way that results in a connected 3-way forecast. The connected model then models the impact across all three primary statements and allows well rounded financial business decisions to be made on the back of it. Therefore, it makes little sense to model just business cashflow as you won’t have a balance sheet on which to base decisions or a profit and loss forecast to know if your operations are profitable or loss making. Again, it’s pointless to know you can make a profit in 5 months time if you have no cash availability to run for the next 5 months. Each aspect of the 3-way forecast plays an important role in the decision-making process and operating without it is to operate partially blind to the effect of business decisions. So why don’t more people have a 3-way forecast? Truthfully? Because it’s often hard to model a complex business in three ways. Added to this the effort to update is usually so significant that businesses give up after a month or two. In this scenario, a business may end up with a 3-way model budget but no ongoing updated forecast. The main issues are highlighted at points 1-6 I made at the beginning of this article, but primarily the fact that the models are usually spreadsheet based and not matched to business financials on a 1:1 basis. This makes updating actual performance very difficult and time consuming. 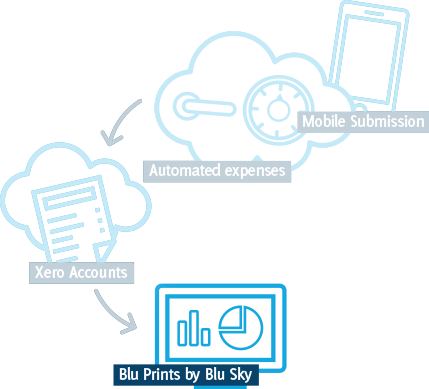 At Blu Sky we worked closely with Futrli to develop our own Blu Prints cloud forecasting engine to enable us to model our clients financials in real time and in full 3-way linkages. We believe it’s integral to running a business and all our clients get a free Blu Print to help them make better informed decisions. But, this can only be enacted efficiently if the bookkeeping platform is connected and in the cloud. As we have preached for years now, get your core data into the cloud and everything else is enabled. Budgets are the yardstick by which you should measure performance and they should not be updated more regularly than quarterly. Forecasts are the truest prediction of future performance and should be updated as often as possible. Blu Sky offers full business process reviews and can model any scenario required, either in our connected cloud systems or in offline modes where needed. Give us a call 0191 258 7676 or email info@blusky.co.uk if you think we can help, we’d love to hear from you.